If you need furnace installation in the Delaware or Maryland region, call Peninsula. 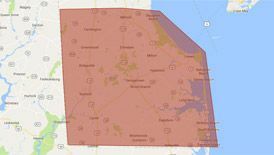 For more than 75 years, we’ve been serving the Delmarva peninsula with the best service in the HVAC industry. We are happy to install a wide range of furnaces and can advise you on which make, model, and style is right for your home. To learn more about our furnace installation services in Delaware and Maryland or to get a free estimate, contact us online or call (302) 262-8254 today! If your furnace has completely failed and can’t be brought back to life, you need to have a new one installed. However, it can sometimes be unclear whether it would be better to repair or replace your furnace. The cost to repair your existing furnace is $500 or more. If it will cost this much to repair your furnace, installing a new one is probably a better investment. Do I Need a High-Efficiency Furnace? No matter what kind of new furnace you have installed today, whatever you choose will undoubtedly be more efficient than your old one. Regardless, you still have choices among today’s best energy-efficient furnaces. A mid-efficiency furnace can have an AFUE rating of 80 to 89. A high-efficiency furnace has a rating of 90 to 97. Choosing a high-efficiency furnace is a good idea if you plan to be in your home for more than ten years, need to save more money on your energy bills, or want to take advantage of rebates. How Long Does Furnace Installation Take? Typically, it takes about one day to install a furnace. However, it may take additional time, depending on your home’s specific needs. At Peninsula, safety and precision are our priorities when we perform any furnace installation in Delaware or Maryland. When it comes to installing furnaces, safety, accuracy, and dependability are crucial. A poorly installed furnace will require more repairs and not work as well as it should. Peninsula is licensed, bonded, and insured; all of our furnace installation techs are knowledgeable, experienced, and certified. We offer furnaces exclusively from Carrier to ensure your utmost satisfaction. 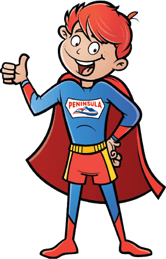 Take a look at our specials to learn how you can save on your furnace installation with Peninsula! To schedule furnace installation with Peninsula in Delaware or Maryland, contact us online or call (302) 262-8254 today!